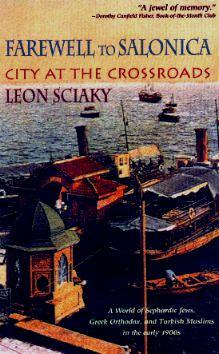 Leon Sciaky paints a beautiful picture of the city of Salonica, part of the Ottoman Empire around the end of the 1800s and early 1900s. You easily conjure up the sights and smells of the streets, markets, and the homes he so eloquently relates. An ever-changing time in the Ottoman Empire (which became Turkey after the Balkan Wars of 1912 and 1913) which then later became Thessaloniki and part of Greece. His ancestors were Jews from Spain who came to Salonica but in 1915 the Sciaky family left their home to settle in New York. The images he portrays are remarkable as he gently guides us through his young life in a city that is no more. This is the story about the childhood of a Jewish boy, his charming family, and the grand elegance of a bygone era. His honest account make the reader more appreciative of how he brings this city to life, almost tempting one to step back in time. The people he colorfully describes seem to come to life too, and as each page is turned, yet another character is introduced. Sciaky tells of visiting his great-grandmother and her sister, who was born in 1796! He writes with a clear vision and a wonderful recollection. Conclusion - A charming account of a personal history.